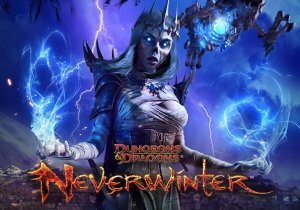 With the holidays approaching, Perfect World Entertainment, Inc. is celebrating the season with special Winter Events for Star Trek Online, Neverwinter, Perfect World International, Forsaken World and Champions Online. 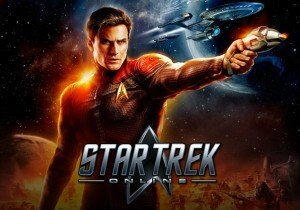 Today, Star Trek Online and Champions Online players can begin celebrating and earning all-new rewards. A complete list of Winter Events across many of our titles as well as a list of event rewards can be found below. Winter Festival celebrations are held at the village of Twilight Tor up in the frozen north. Players will be given daily quests, one of which gives a coupon for a free Starlight Parcel! Starlight Parcels are gifts for players and their party members! When opened, individual gifts pop out onto the ground for everyone to collect, so don’t worry about stealing from your friends. As players open more Starlight Parcels, they’ll earn chances for bigger and better rewards, including some of the headline mounts and companions from other events! Adventurers can earn other great rewards by returning each day to complete daily quests, and by competing in the map-wide contests to slay monsters on ice, accumulating a high racing score, or catching the biggest and best fish! Q’s Winter Wonderland allows Captains to experience Q’s universe and earn seasonal trinkets, as well as festive prizes. In the all-new Cone of Conduct event, players can battle snowmen in the gingerbread village and build a fearsome ally, the Snowconian in order to defeat the jealous Snowman. Players can also participate in holiday events including ice-skating, pie-eating contests, facing down assimilated Borg snowmen, and more! Each day players login to PWI, they will receive a small gift. Players can gain the power of the Penguin Shot from the Four Lady Emperors at 10:00 am, 2:00 pm and 6:00 pm (Server Time) and complete the daily challenges to receive new event rewards. Players can team up with players from their server or other servers and engage in a skirmish on PWI’s new relaxed, cross-server battleground. Forsaken World’s 12 Days of Giveaways is here! For 12 days leading up to Christmas day, players can login to Forsaken World everyday and receive gifts to help battle monsters, level up and complete quests! The rewards will become better each day they login. This is the biggest giveaway of the year! Millennium City has been transformed into a winter wonderland! Throughout the month, Champions can visit Renaissance Center to check out the ornamented tree, visit the Toy Drive store and gather presents to collect special rewards from the Helper Elves. Starting December 11, players can battle Clarence, the giant teddy bear, and Black Harlequin, who has turned the abandoned foundry into a workshop to create deadly toys. On December 24, players can visit the decorated tree to open a present, which may contain one of the rewards listed below. During Steam Dev Days this week, Gabe Newell announced that Valve is planning to make Steam's Greenlight feature "go away." Bigpoint announced new details on its upcoming browser-based MOBA, Universal Monsters Online.